While there are countless projects being done in Cairo and other cities in Egypt to help young women receive an education and work, there is still limited attention given to the bedouin women in Sinai. Due to unfortunate events, the Sinai peninsula has in recent years become a haven for terrorism and transnational crime, posing great threats to Egypt’s national security. Though what is missing from the discourse is human security – that is, giving primacy to the humans of that region and addressing their social and economic concerns. ‘Bedouin Girls Education Project‘ is one of these initiatives that addresses the problem of human security in the Sinai peninsula. While the bedouin men of Sinai are often more visible and known, the role of the bedouin women both at home and work is not taken into great consideration despite their importance. When you help just one young woman receive an education, you also help her in building the future of her family and children, as she will be more able to educate them and even support them financially during times of crisis. Cornelia Aebersold, founder of the project and who lives between Sinai and Switzerland, met Mona a couple of years in Oasis Ain Khudra, South Sinai. After a couple of visits, she realised that Mona was no longer able to attend school anymore following her father’s tragic car accident. Since then, the family ran out of money and was not able to afford her education, which pushed Cornelia to find a way to support her. 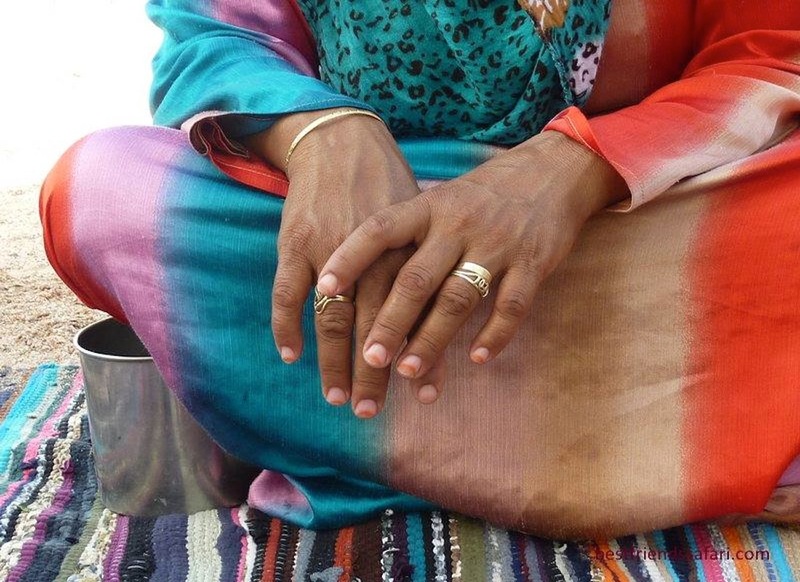 Cornelia began to sell the bracelets she bought from the bedouin women in South Sinai, one for 5 Swiss francs, to raise money and support the young girl with donations. “Mona has a dream to become a doctor, and we have a dream as well – to see the young girls reading and writing in both Arabic and English and to teach it to their future children,” Cornelia says to Egyptian Streets. Though Mona did not achieve this dream, she still managed to finish all her regular school years with the help of the donations, which allowed her to pay for the fees, private lessons and books. Currently, the project is supporting two other girls to continue their education, yet issues like bureaucracy, high costs and lack of support have been hindering the process. “We thought that after passing their first exams, they will immediately be admitted to regular classes, yet this was not the case. The school directors requested that they require another half year of special education to continue their regular schooling, and all of that costs a lot of money,” Cornelia notes. Though they are still currently trying to sell bracelets to their friends and families to raise money, the project requires more support and financing. For more information, follow them on their Facebook page: Bedouin Girls Education Project and help a young girl achieve her heart’s desire for education.